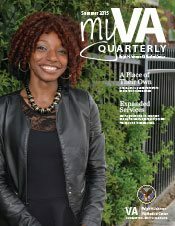 The Ralph H. Johnson VA Medical Center had long distributed a quarterly magazine to stakeholders under the masthead, Focus VA. This publication was written by Charleston Public Affairs Staff but the design was contracted through the publisher. This made the development of each issue of the magazine slow and inefficient. It also meant that last-minute changes such as scheduling changes for events were either costly or impossible. The design was stale and not up to the brand identity guidelines required by VA. It also no longer fit with the facility’s new “myVA” campaign. Starting with the Fall 2014 issue of the magazine, I took over the development of the magazine for layout design and Section 508 compliance. 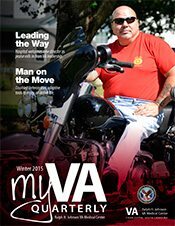 The Fall 2014 issue also introduced the rebrand to “myVA” and began to serve as a companion piece to other marketing efforts by including a feature in each issue that told the story of the Veteran and the provider currently featured on the billboards in the area. By providing the design in-house the lede times necessary for development of each issue is significantly reduced from a number of weeks to just a few days. 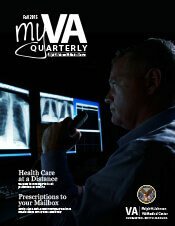 I was also able update the publication to match modern trends in design and ensure compliance with VA brand identity standards. Magazine layout is one of my favorite design tasks each quarter. I enjoy being able to experiment with new spread ideas and content-fitting challenges with each issue. Each quarter also provides the opportunity to further refine my typography skills and grid work. 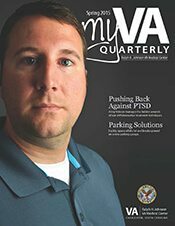 In response to the positive reception of myVA Quarterly, I have provided training and design review for the Army Corps of Engineers for their quarterly publication. 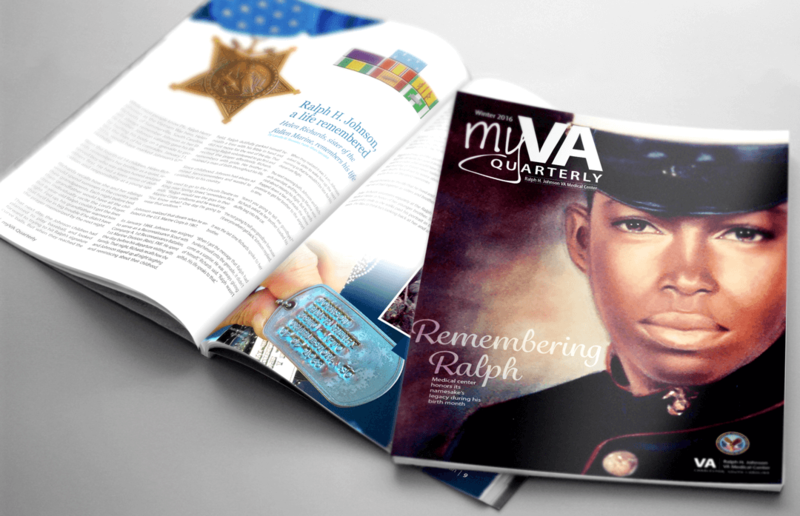 I am also extremely proud that my work on the magazine for Charleston has led to me providing the layout for the upcoming issue of VAnguard for VA Central Office.